Plot: An alcoholic Federal Air Marshal must try to stop a trans-Atlantic hijacking, but everyone thinks he is the one responsible. Clint Says: Wait until after opening weekend, but see this in theaters. While NON-STOP is formulaic in every way with the typical rabbit chases and straw men it is still a really suspensful and fun movie. There were several times where I found myself literally sitting on the edge of my seat and a few times where I gasped for breath after realizing I had been holding my breath for several seconds. 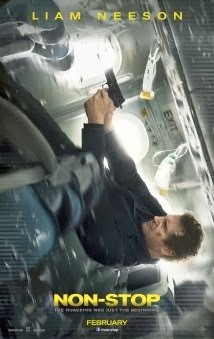 If you like suspensful action-flicks with a good dose of mystery NON-STOP will satisfy. Plot: The story of Jesus from birth to Resurrection. Clint Says: Go buy the DVD that's already for sale. 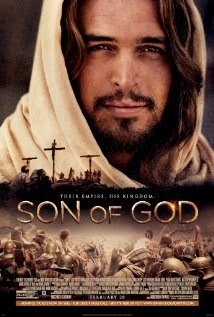 SON OF GOD is well done, but if you already watched Mark Burnett's mini-series THE BIBLE you've seen this. It's the same footage from the mini-series only cut down to just the story of Jesus.